Rocky Road Ice Cream Sold out! US$5.95 including shipping. Leave us a comment or ask a question below. Click on the image to enlarge (a new window will pop up for viewing). 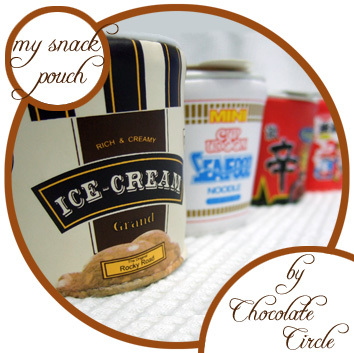 • Store your PSP, cells such as iPhone, iPod and other gadgets, and small personal belongings and accessories in one of these cute Tooty Fruity PSP Pouches! Also perfect as a cosmetic bag or a pencil pouch! • It is slim and light-weighted, with a wide zipper-opening which is designed for PSPs, and is also suitable for gadgets, cosmetics, stationery and other personal belongings that you need to bring with you on the road! • Each purse is of high quality finishing, design, texture patterns and colors- a great value for the price! • The entire Tooty Fruity Pouch is made of a very smooth and soft fabric that you will fall in love with touching and feeling it! • Use it in your handbag to store your small items, such as keys, cards and change so you don’t need to rummage through your handbag for them anymore! • Best choice for friends who enjoy a refreshing and unique gift! 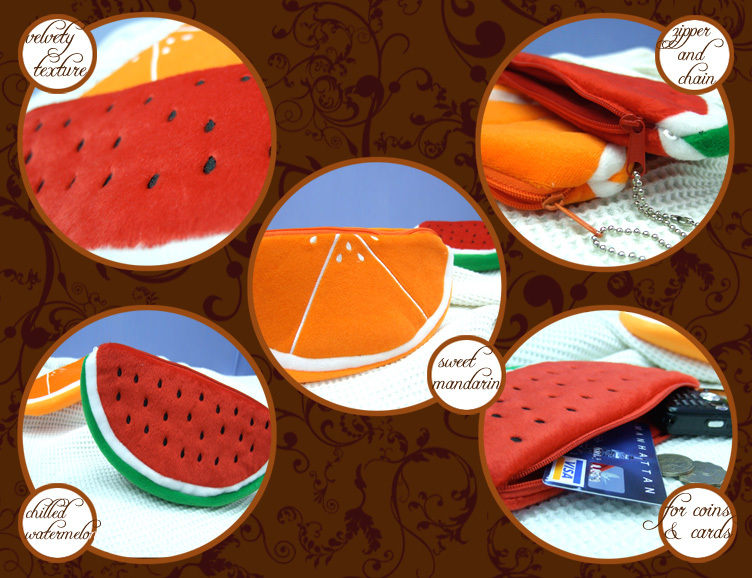 • Dimensions: (Length x width) 20.5 cm x 10.5 cm approx. US$9.45 including shipping. Leave us a comment or ask a question below. 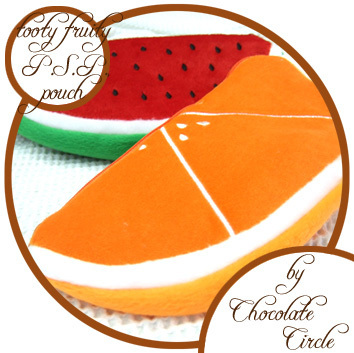 • Store your small personal belongings and accessories in one of these cute Tooty Fruity Purses with the theme and colors that are perfect for the spring and summer! • It is slim and light-weighted, with a wide zipper-opening; makes it good enough to carry most of your small, basic personal belongings for a casual outing! • Each purse is of quality finishing, design, patterns and colors- a great value for the price! 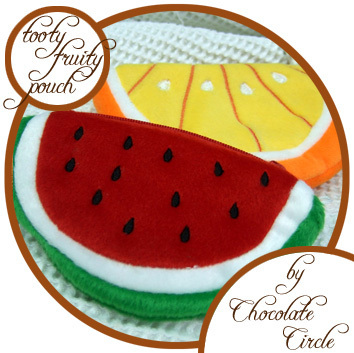 • The entire Tooty Fruity Purse is made of a very smooth and soft fabric that you will fall in love with touching and feeling it! US$4.95 including shipping. Leave us a comment or ask a question below. 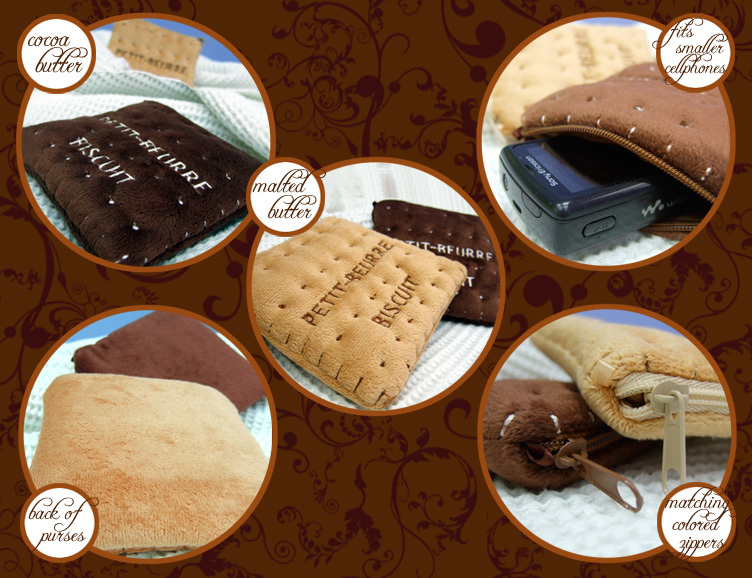 • Store your small personal belongings and accessories in one of these extremely cute Square Butter Biscuit Purses! Fits even the smaller cell phones! • Patterns on the Purse makes it resemble a real Butter Biscuit! 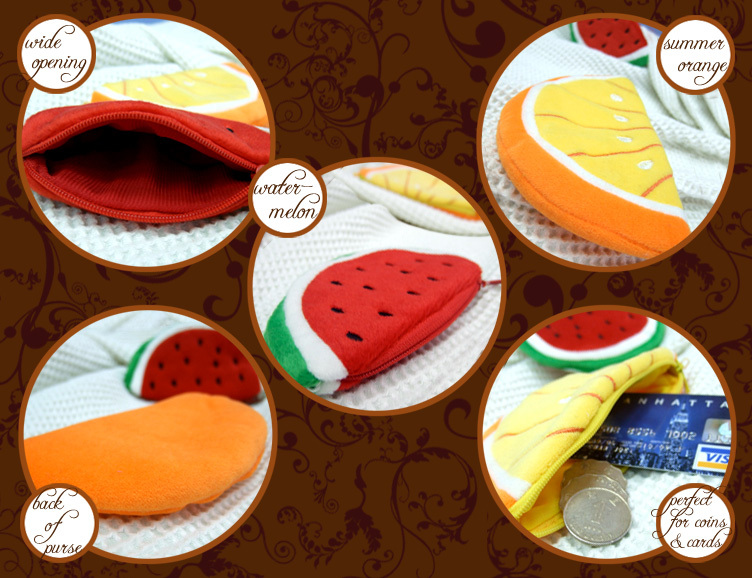 • The entire Butter Biscuit Purse is made of a very smooth and soft fabric that you will fall in love with touching and feeling it! • It is slim and light-weighted, yet large enough with a wide zipper-opening that makes it good for carrying most basic personal belongings that you may not even need to carry a handbag! 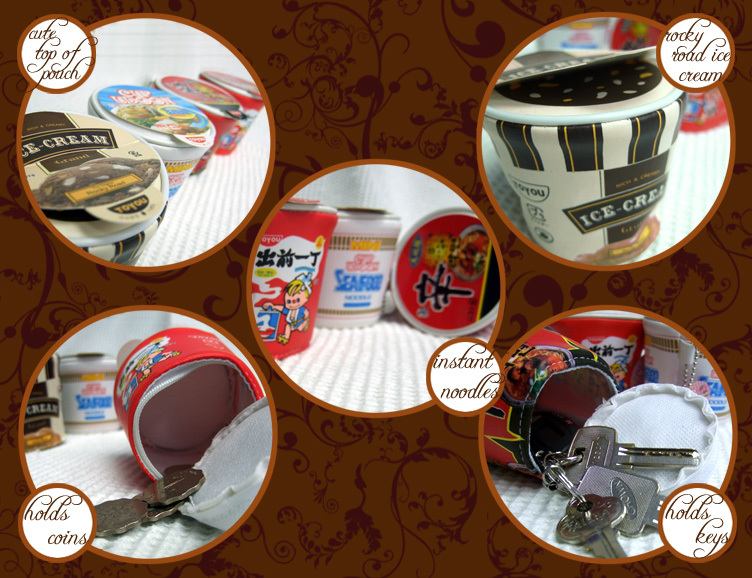 • Best choice as gifts for friends who enjoy biscuits and desserts or simply those with a sense of humor and creativity! 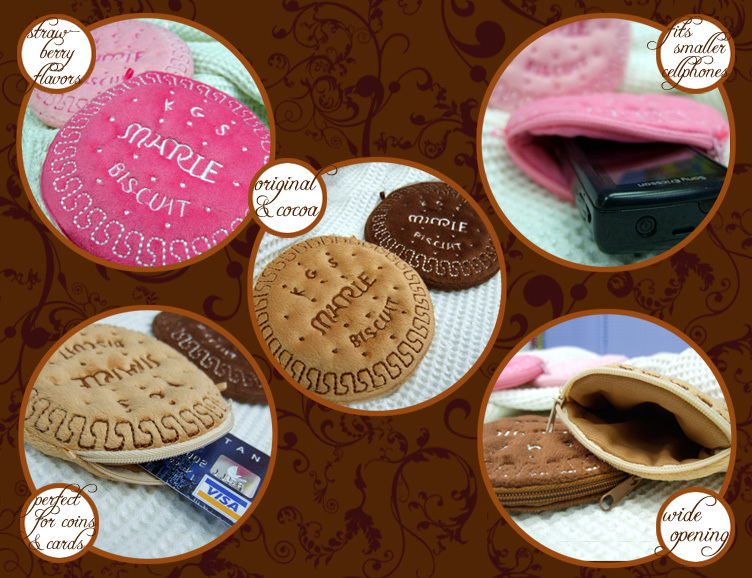 • Store your small personal belongings and accessories in one of these very, very cute Round Marie Biscuit Purses! • Fits smaller cell phones as a cell phone pouch! • Patterns on the Purses highly resemble those on a real piece of Marie Biscuit! 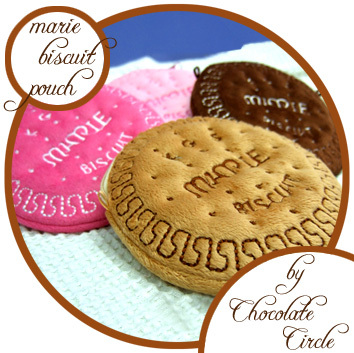 • The entire Marie Biscuit Purse is made of a very smooth and soft fabric that you will fall in love with touching and feeling it! • It is slim and light-weighted, yet large enough with a wide zipper-opening that makes it good enough to carry most basic personal belongings that you may not even need to carry a handbag! 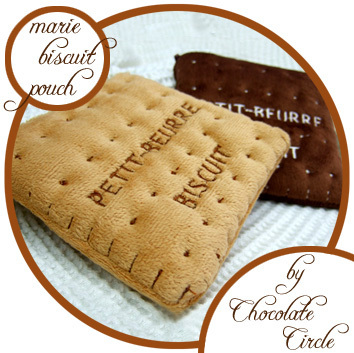 • Best choice as gifts for friends who enjoy biscuits, especially Marie Biscuits, and desserts or simply those with a sense of humor and creativity! US$8.95 including shipping. Leave us a comment or ask a question below.